Lilongwe (Malawi), Jan. 8 : Indian Vice-President Mohammad Hamid Ansari and his wife Salma Ansari today visited the Malawian Government''s Civic Offices soon after his arrival here from Zambian capital Lusaka on a three-day official visit. Malawian Vice-President Joyce Banda and other senior ministers and officials received Ansari and the Indian delegation at the offices. Speaking on the occasion, Ansari said that he was particularly happy to visit Malawi, a country with which India enjoyed good and historical relations. 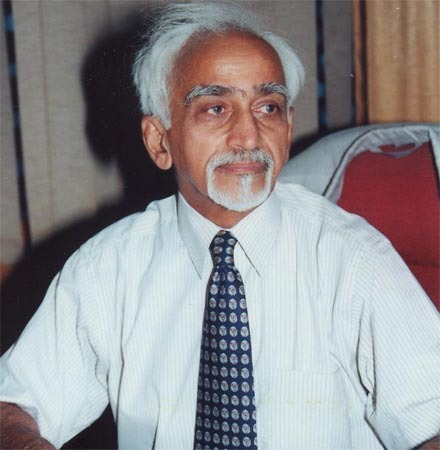 "Excellency, friends, I am particularly happy to visit Malawi, a country with which India has had historic relations based on shared values and a struggle against colonial rule," Ansari said. He further said that he and his delegation were looking forward to reinvigorating Indo-Malawian ties during his stay. "I am looking forward to my discussions with the President of Malawi and Your Excellency, and ministers during my stay here. I am confident that during our stay here, we would be able to find new ways to re-invigorating our friendship and develop new areas of cooperation to our mutual benefit," Ansari said. The vice-president''s address was followed by a signing of a visitor''s book and a presentation of a bouquet of flowers to Mrs. Ansari.